Know about the Software working through stepwise product guidance. Each step shown below has its own significance in file extraction method. Follow the step and get appropriate file format easily. 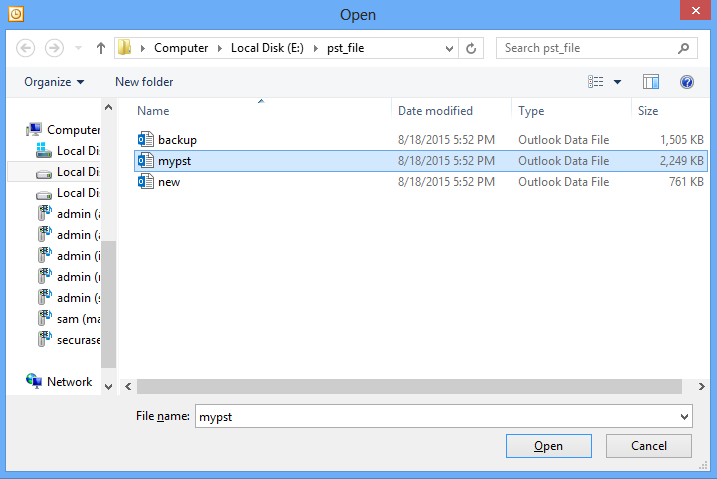 Click on Browse button to load PST file from your system. 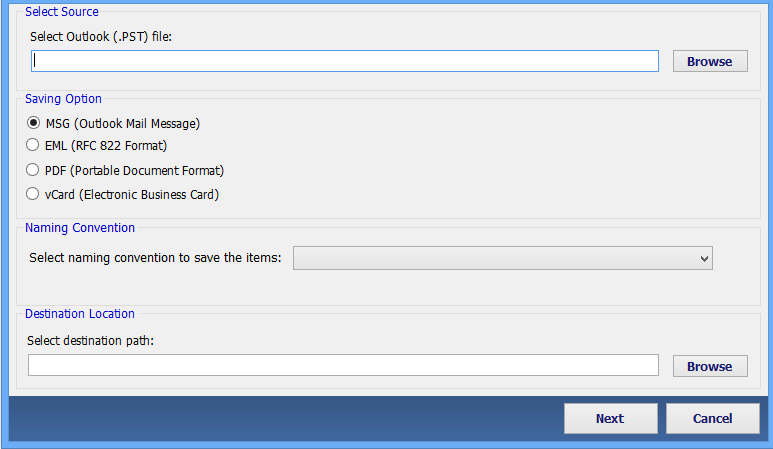 Specify the target file format type by selecting one of the given file format in Saving Option field. 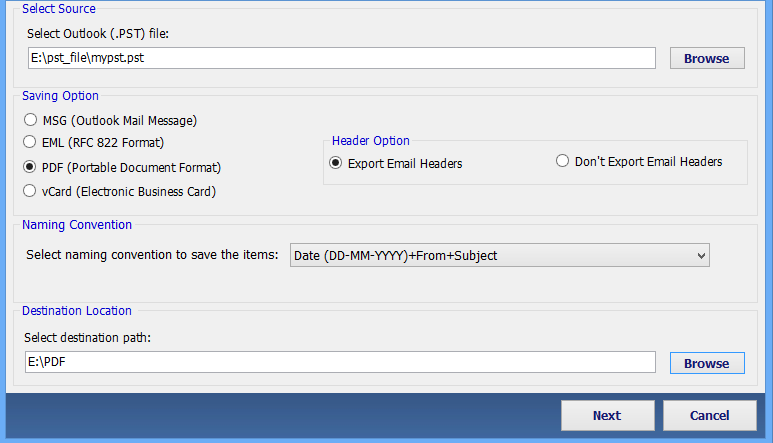 Here you can select one Naming convention format in which you wants to save your targeted file. Click on Browse button to provide the destination path. 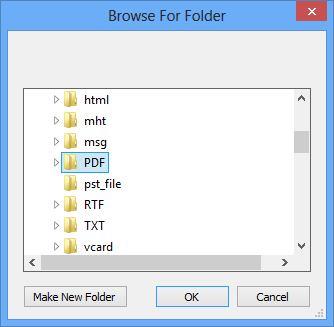 Under Browse for Folder window select destination folder or create a new folder for saving target file. Software home screen will appear next after receiving all inputs from user, confirm all inputs and click Next. As soon as you click next button in previous step, Software will begins scanning process. On completion of scanning process will get to know about PST file details. Then Click Extract to start extraction process. Here you can see the current file/folder, PST item, total item and folder count under extraction process. The Progress bar will indicate the status of conversion process.